Until now, drones have gone on a wild ride. It has been massively regulated by U.S. government considering the threats that it brings including spying. Moreover, drone safety had been a significant issue. But to completely understand drones, we need to understand both its advantages and disadvantages before making a final call on how they should be regulated. For starters, there are good drones and destructive drones. Those drones that are created for good are being used to save lives, help improve business efficiency and use autonomous control so that the human limitation can be removed. Destructive or bad drones do the exact opposite and are harmful in one way or another. In this article, I will try to understand the future of drones from the perspective of tech, security, and innovation. Drones have evolved rapidly in the last decade or so. However, drones are not new and existed from the 1930s. The modern era of drones started after 2001, and it is now slowly becoming part of our daily life. You can now own a drone only if your state laws allow you to do so. So, what is next for drones? The answer depends on how artificial intelligence (A.I) can be used to make drones more useful. A.I. can help drones overcome the human limitation and make drones more useful in different sectors including industry, tech, delivery and so on. However, A.I. powered drones can also be used to kill humans, deliver drugs or worse spy on someone. There has already been a lot of debate on how A.I. can provide drones with ultimate power. Elon Musk also called out on the ban on killer robots which can also include drones. But, we have to weigh the gains over a possible loss and should be used to improve the different levels of transportation, accessibility, and overall growth. Drones can now be programmed to learn from mistakes. Learn to Fly by Crashing, a paper published by Carnegie Mellon University explores how AR drones 2.0 are learning by learning from their own mistakes. This is just one use case of how A.I. and big data are going to impact drones in future. Government regulations on drones have always been tight. However, 2018 can be the year when the laws become less stringent. The current regulations from Federal Aviation Administration (FAA) regulate drones such that they must be used within human sight. However, this regulation is binding at many levels as it will not allow commercial companies such as Amazon to use drones in their operation. In 2017, the general perception towards drones changed as well as their purpose as such in recent natural disasters, fortifying their benefits. Now that change is progressing; the FAA needs to take note and began to set appropriate regulations for the future of this industry. 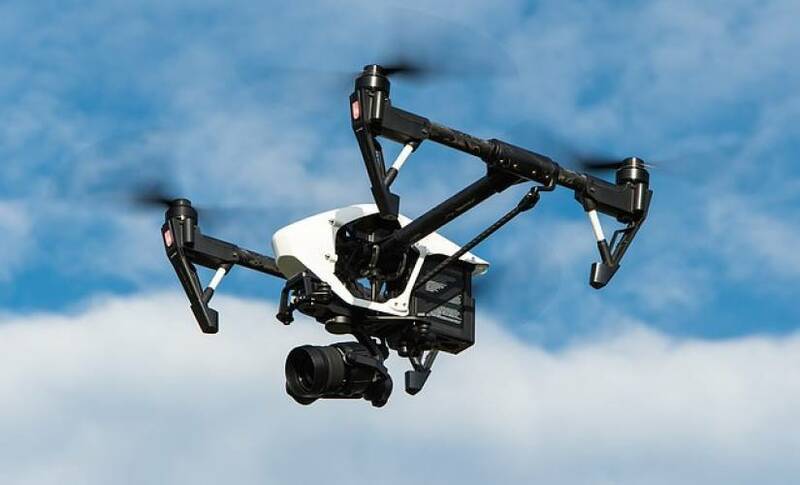 Drones manufacturers will also play a role, by ensuring that their drones can navigate safely through an environment, especially rooftops, humans, vehicles, etc. To achieve this, current technologies need to be adapted to allow for autonomous navigation and self-learning capabilities. Drones have evolved remarkably in the last decade or two. The commercial usage will only propel it towards mass adoption. 2017 has been the year where it is now impossible to ignore the benefit in natural disasters management and commercial spaces. With relaxation in regulations, more and more industries will adopt drones. One more thing is how blockchain can be used to revolutionize drones. Recently, blockchain is impacting almost every industry. Drones can be the next thing that can utilize blockchain technology. We only have to wait and see if blockchain powered drones can become more secure, accurate and easily regulatable.